Breast cancer is a heterogeneous disease with differences in clinical outcome and sensitivity to treatment. The choice of treatment after surgery (radiotherapy, antibodies, endocrine or chemo) is based on prognostic (risk of recurrence) and treatment predictive (choice of treatment) factors. About two thirds are cured after surgery, and still about 90% receive additional treatment. This means that some patients are over treated, but at the same time the treatment is lifesaving for others. It is extremely important to identify patients in need of additional treatment and, when needed, to choose the correct treatment. We are working towards new ways of looking at the information already collected and evaluated in the clinical routine but were also trying to identify new factors with both conventional techniques (e.g. 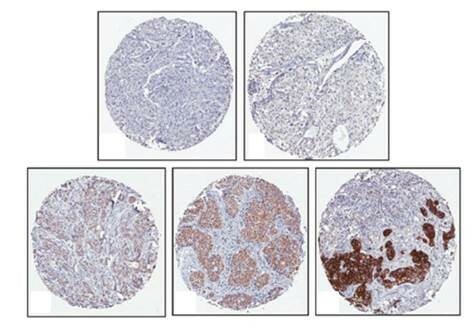 immunohistochemistry) and new techniques (e.g. sequencing) that will help clinicians deciding what treatment or treatment combination will be best for the individual patient.